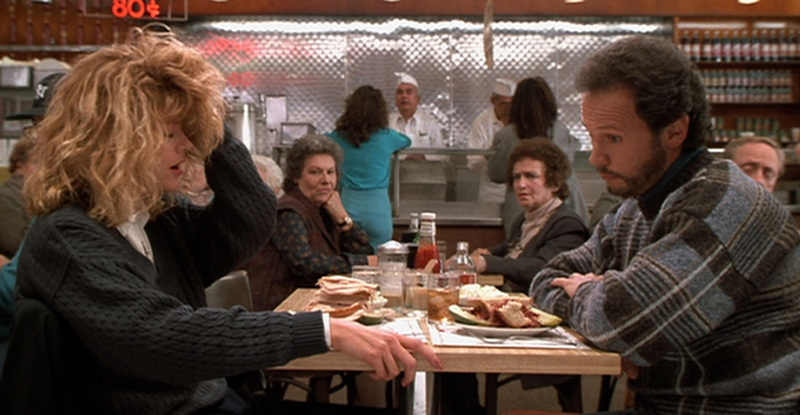 “I’ll have what she’s having”… Some of the most memorable moments in cinema were experienced across a dining table. 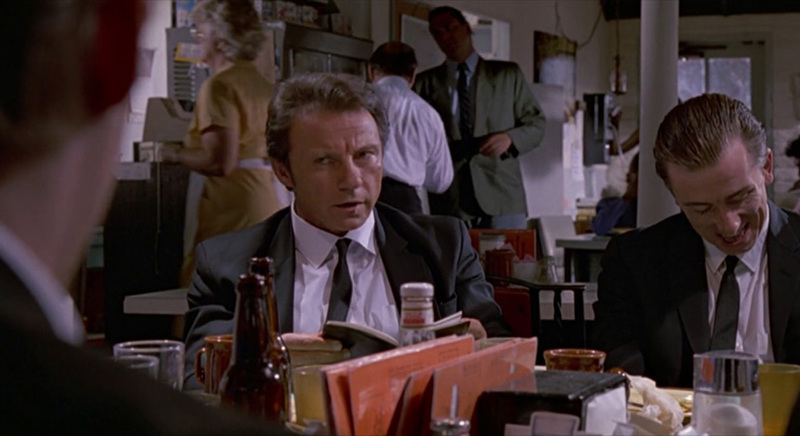 Just in case you weren’t aware, cafe and diner scenes in film are a thing. Many of these moments are centered around an engaging and/or confrontational dialogue; from Kevin Spacey’s “pass the asparagus” to Jack Nicholson trying to order some plain toast. There are too many to count and this will certainly be a debated topic. Nevertheless, here is a list of some of the most epic confrontations that took place in a restaurant/cafe/diner… whatever you want to call it. 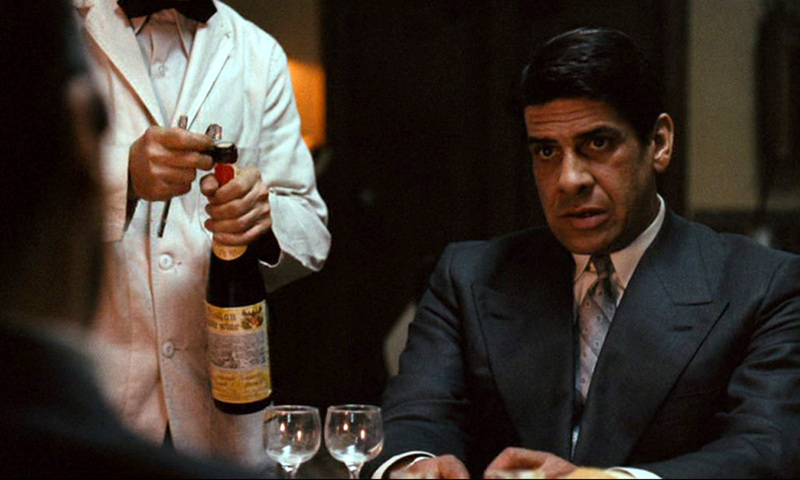 After an attempt on his father’s life, Michael Corleone changes for the worst. We get a first glimpse of what is to come from the newly inducted Godfather. Michael’s plan was simple; organize a meeting with Sollozzo and the police commissioner, get to the meeting and “bada-BING”, get their brains all over his Ivy League suit. Al Pacino acted this scene out with his eyes darting around while a train screeches in the background. Quite an intense build up to a pivotal moment in the film. I remember reading somewhere; “this is probably the greatest scene ever” and I’m paraphrasing but I’m also not going to bother finding the original quote and since I’m being a rebel, it’s probably best you just watch the scene. Okay, but really, this is one of the most romantic exchanges in film history, in my humble opinion. Every new couple should sit down and watch Before Sunrise; it is still as beautiful now as it was in 1995. This scene kind of catches you off guard every time, doesn’t it? As Billy Crystal (Harry) devours a wholesome sandwich, a very young Meg Ryan (Sally) seem extremely concerned about how flippantly he dismisses women after concluding his “evening engagements” with them. After reassuring her that he had done a good job in keeping them “happy”. She proceeds to give him a full re-enactment of the potential “happiness” he witnessed based on just how good his job must have been. A shocked elder on-looker then exclaims “I’ll have what she’s having”. Blissful Nora-Ephron-charm. “Why did you call me?”. 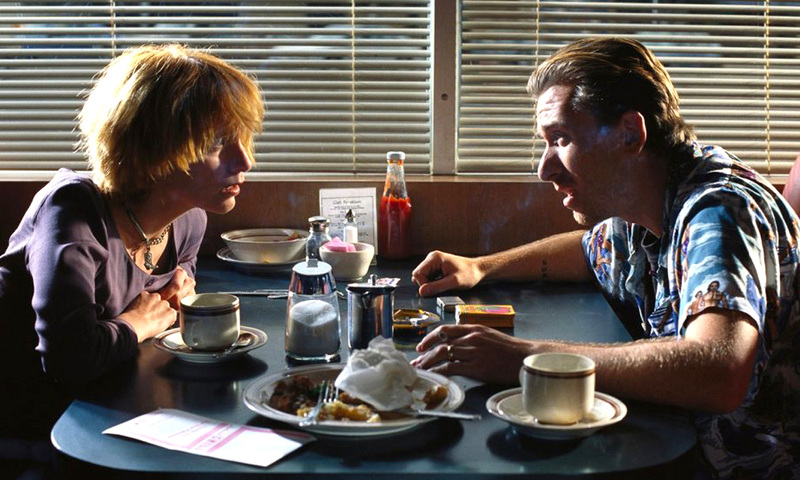 One of the mot powerful diner scenes I have seen in a long time. 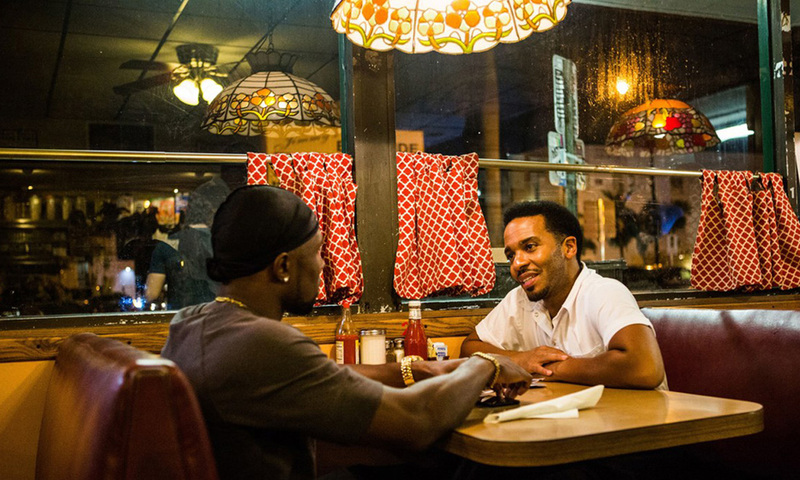 This brilliant final chapter by Barry Jenkins is reminiscent of a beautiful painting, specifically, Edward Hopper’s 1942 classic, Nighthawks. The colours, the clarity, but most importantly the stillness. Rarely do we see such natural tenderness in films, especially between two men. Arguably one of the most epic scenes, period. 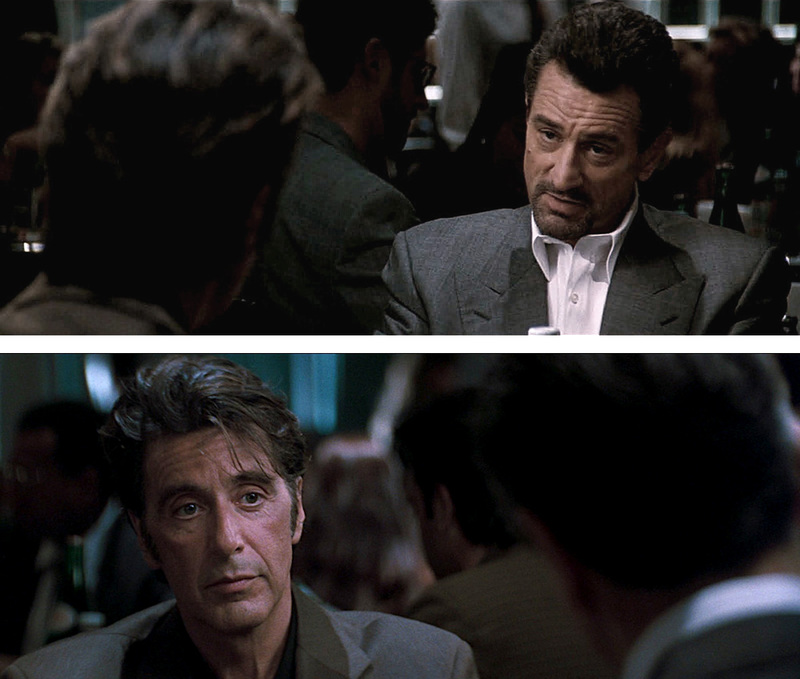 The first time in history that Al Pacino and Robert De Niro are on screen together. Michael Mann’s three hour bank heist crime film promises a thunderous encounter between these two opposing forces but presents the antithesis of this; an extremely calm confrontation so full of tension it keeps you on the edge of your seat while they blankly stare at each other and discuss barbecues and baseball. For three hours worth of drama all you get is a serene 10 minute cross examination. Perhaps the magnitude of the actors themselves imbue the scene with such gravitas… “I do what I do best, I take scores; you do what you do best, trying to stop guys like me”. Classic! *click on the titles to watch scenes.